A stellar international line-up of some of the world’s best freestyle paddlers got the Penrith Whitewater stadium pumping for the Freestyle Rock ‘n Roll at 2019 Sydney International Whitewater Festival to decide the Australian Open champions over the past weekend. The freestyle competition saw some of the world’s best in action with American former junior world champion and US women’s freestyle and K1 and C1 national champion Sage Donelly taking home the win in the women’s competition. As anticipated, the final showdown was between Japan’s World Cup Champion Suematso Yoshiko and Sage Donnelly, before Donnelly took out the win, with New Zealand’s Em Scott finishing third. “I actually came down here for slalom two years before, but this is the first time I’ve done freestyle here and it’s absolutely fantastic and I will definitely come down again next year,” Donnelly said. Australia’s freestyle future is looking bright with up and coming talent Jack Newland, who finished 12th at last year’s World Championships in Argentina, winning the men’s K1. Penrith local Christian Hliounakis finished second and Josh Singleton third. “It’s great here, especially with competitors from America and New Zealand here and it’s fun to compete against them,” Newland said. The Victorian from Geelong enjoyed the waves at Penrith Whitewater Stadium. “In Victoria, I train in an Olympic size swimming pool five times a week to prepare for things like this because there’s no real rivers down there and I do a lot of strength work to force my boat wherever I want to on these sorts of waves here in Penrith,” Newland said. It is the first time that the 2019 Sydney International Whitewater Festival has brought together the three whitewater disciplines of canoe slalom, wildwater and freestyle in one event format with the Freestyle Australian Open finals on Sunday attracting a big crowd. “It was great spectacle to watch. Loud music, great action all down by the side of the feature. For us to be able to showcase what these freestyle athletes are doing was huge. We have not been able to hold such a spectacle for over a decade,” three-time World Cup Champion, Guiness World Record holder and chair of Paddle Australia’s freestyle committee, Jez Jezz, said. 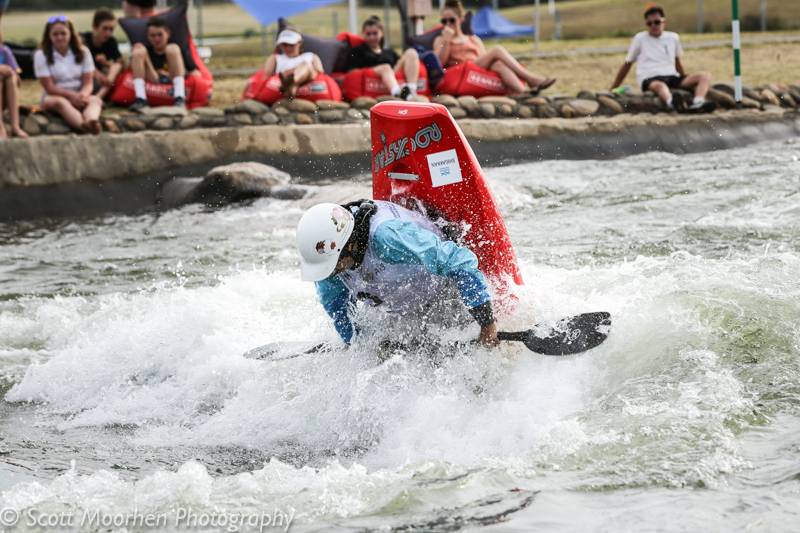 Freestyle returns to the 2019 Sydney International Whitewater Stadium competition this weekend with the Freestyle Oceania Championships. 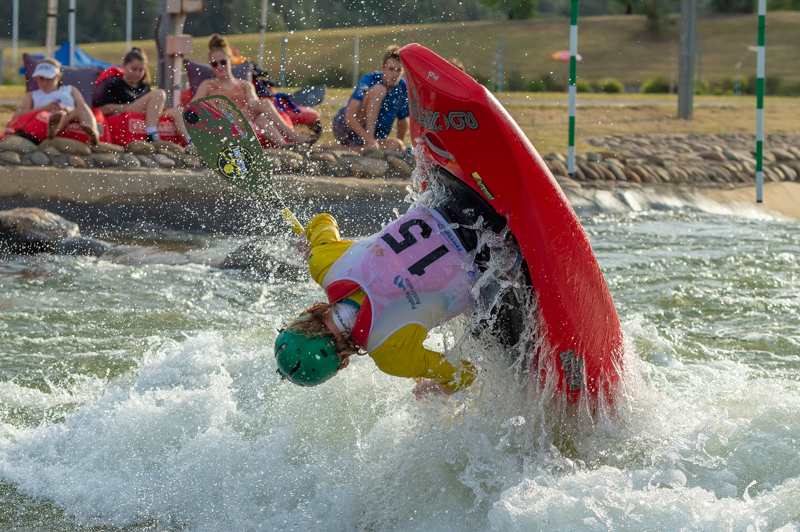 It will be the first ever Freestyle Oceania Championships coming to Penrith Whitewater Stadium as part of the 2019 Sydney International Whitewater Festival with the event drawing a high-calibre international field to Australian shores (February 22-24 2019). 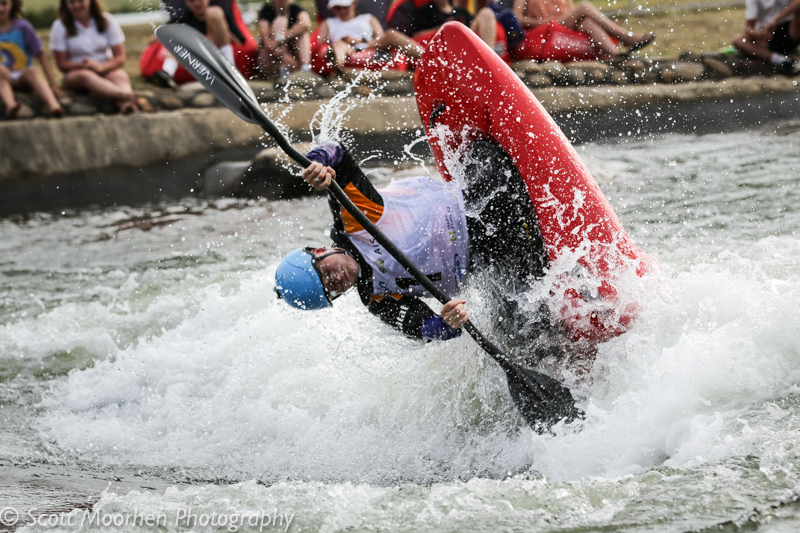 Head to https://whitewater.paddle.org.au/freestyle/ for freestyle results and next weekend’s start list. The 2019 Sydney International Whitewater Festival includes a series of events to crown the 2019 Australian Open and Oceania Canoe Slalom Champions as well as the Australian and Oceania Freestyle Champions. It also includes the Wildwater Grand Prix 1 and 2.